Remove make-up, dirt and excess oil to leave skin clear. 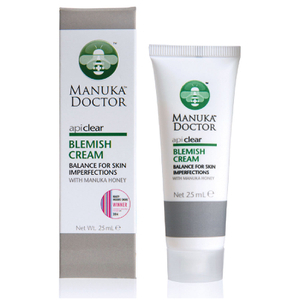 Rid skin of the daily build up of impurities and prevent blocked pores. Powerful facial serums that provide a hydration boost for your skin. Rejuvenate your skin and address your skin concerns. For a brighter, fresher and more youthful looking complexion. Just a couple of drops applied daily will visibly hydrate, revitalise and even skin tone. Body products to revitalise & hydrate. Age-defying bronzing gels, enriched with moisturising ingredients that provide a natural golden tan in one hour. Skin plumping and hydrating formulas with powerful anti-ageing benefits. Restore skin's softness and help reduce the look of fine lines and wrinkles. Skincare specifically designed to help balance troubled skin. Cleanses and purifies whilst balancing the perfect amount of oil and moisture. Tackle fine lines and wrinkles around the delicate eye-area as well as brighten and soothe the skin. Nourishing lip products for the perfect pout. For plump, brighter & radiant skin. Treat your skin to a nourishing, restoring and hydrating experience. Keep skin hydrated. 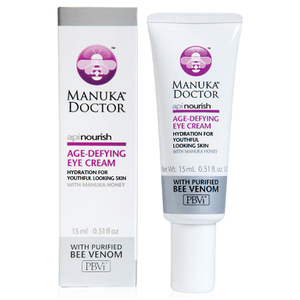 Manuka Doctor's range of moisturisers hydrate and nourish the skin with key ingredients Purified Bee Venom and Manuka Honey. If anti-ageing is your skin concern, ApiNourish ‘Nature’s Face Lift’ is the range for you. Look no further than our clinically tested range of products for blemish prone skin, if ‘Nature’s Clear Skin Prescription’ is what you are after. Our finishing skincare range ‘Natural Born Fillers’ offers instant & long term skincare benefits, whilst our range of nourishing facial oils contain ‘Powerful Plant Extracts’ for a brighter, fresher more youthful looking complexion. 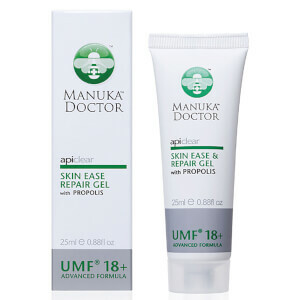 NEW Manuka Doctor Drops of Crystal line is a three-step anti-ageing regime to re-activate youth. So with products to suit all skin types, what are you waiting for! The infamous ghd V® styler clad in electric pink with coordinating heat mat and roll bag. Featuring advanced ceramic heat technology and smooth, contoured plates, the ghd V® styler gives ultimate shine with effortless styling. 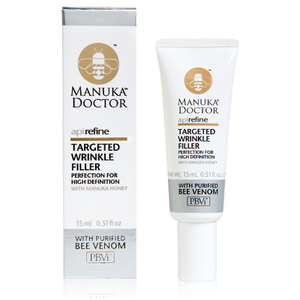 Manuka Doctor specialises in beauty products made from Manuka Honey and Bee Venom. Their skincare line helps to nourish and smooth the complexion and leave you with supremely healthy skin that radiates. 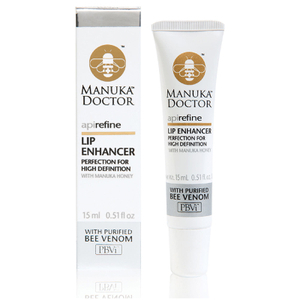 Manuka Doctor has a strong celebrity following, including Kourtney Kardashian and Lucy Watson, who love their ApiRefine Lip Enhancer, which helps to plump out your lips, reduce fine lines and wrinkles and hydrate. Their skincare products use 100% bee friendly venom, to help protect the population of bees. They use only the very best ingredients to care for your skin and produce products that make a real difference to the health of your complexion.